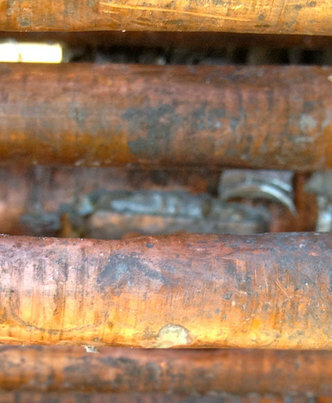 YES, We can repair liquid to air heat exchanger coils that froze with water in them. 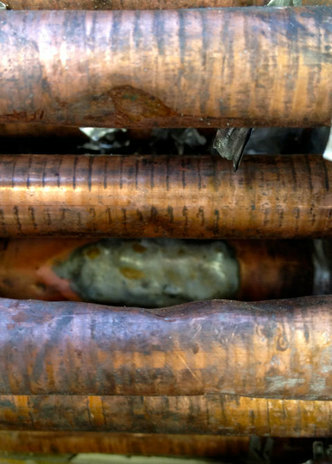 It may not be all that pretty, but we have been functionally able to repair heat exchanger coils from air handlers where water got in them and they froze, resulting in loss of liquid integrity. There typically is a slight loss of efficiency do to a reduction in number of tubes or loss of fin area. However, the degree of loss is generally insignificant and it is cheaper/faster than getting a new replacement coil that exactly fits the space. This page contains a single entry by Cavlon News published on October 18, 2012 2:22 PM. Unusual Devices--SkidCar van & truck extreme driving training wheels was the previous entry in this blog. Curious Bobcat is the next entry in this blog.